Impressive in scope, Dolan's book covers a wealth of material. Oftentimes, the author seems to prescribe rather than describe. His thesis of an American Catholic Church returning to a maybe-non-existent republican interlude of Church history fails in multiple ways. His discussion of immigrants, though, is particularly strong and he does provide interesting and good information. While I stand very much apart from the author in conclusions, I do commend him for his work. 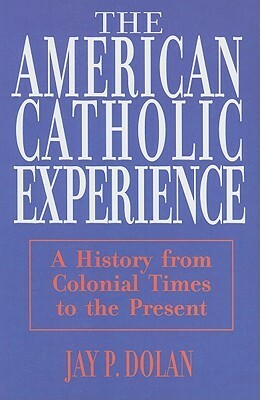 Dolan wrote his history by topic rather than strict chronology. As a result, time jumps around quite a bit and certain people or events are treated multiple times under different sections. He also manages to write about the American Experience with hardly more than a word about the Civil War, World Wars, Vietnam War, Korean War, or any other conflict besides the Revolution.